We know you want to achieve great success with your inbound marketing efforts. But a lack of forethought or planning is one of the biggest inbound marketing mistakes that businesses make on their new endeavour. Before you jump right in and start stuffing keywords in blog entries, posting random memes of social media, or re-designing your website for no reason, step back and think about your strategy first. One of the first things you need to do when building an inbound marketing plan is to create goals. Though goals are great to have, they’re useless if they aren’t grounded in reality. That’s why you need to set SMART inbound marketing goals. SMART inbound marketing goals ensure that you goals are specific, measurable, attainable, relevant, and timely. Let’s get started: here’s how to set SMART goals for your inbound marketing strategies and campaigns. Who will work towards achieving the goal? Where is this goal taking place in terms of your business? When will the task be complete? Which resources will you use to attain the goal? Why are you creating this goal? Your goals need to be granular so you can keep track of them over time. You need to be able to use trackable metrics from your website’s analytics for this part of SMART inbound marketing goals. Otherwise, how will you know if you’re on the right path or not? Create measurable milestones that can be tracked for your goals so you can monitor their progress. For example, what percentage are you trying to increase your web traffic to? Are you almost there? What total profit are you trying to earn? Are you close to hitting the mark? If you check out your progress and realize that you’re not meting your expectations, readjust and fine-tune. Now, to see success, your goals need to be a bit challenging. But they still absolutely need to be attainable. Otherwise, you’ll get down on yourself for falling short when your goals weren’t realistic and were impossible to achieve from the get-go. 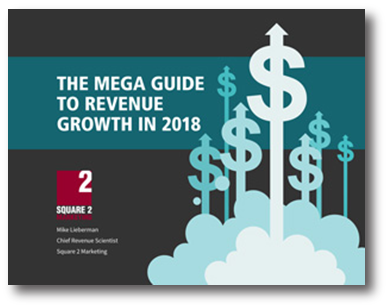 Maybe it’s not realistic to plan to increase your website traffic from 5,000 visitors a month to 2 million if you’ve only been steadily increasing it by 500 a month in the past year. So maybe 6,000 is a more attainable goal to set, for example. SMART inbound marketing goals are feasible and realistic. Understanding your benchmarks and analytics prior to goal setting is key here. For your SMART inbound marketing goals to be relevant, they need to relate back to your overall end goals. They must align with your current business mission. Choose a company objective that matters. For example, if your company’s current goal is to increase brand recognition, then it makes sense to set a goal to increase likes and shares on social media. If your company’s goal is to increase profits then it makes sense to focus on improving your conversion rate. 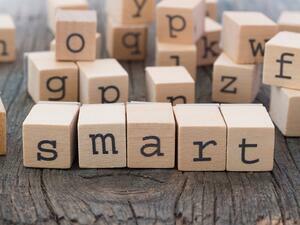 Lastly, SMART inbound marketing goals are timely. They don’t go on forever. They have a time frame for when the efforts will start and finish. This will help you commit to them. It will help you stay focused. Review your past metrics to find your correct time frame. Remember, make your goals attainable yet challenging to achieve in your chosen time frame.